45-10 Chiefs about says it all in recapping this game. KC MYreek’d the Bengals, who were helpless to stop it – as predicted. I boast about that because I was on record going ‘all in’ betting this game right from the start of last week…The Computer saw/sees huge flaws with the Bengals internal numbers, especially on defense, and considering how great KC is on offense and being at home on a Sunday night game with the Bengals season record giving a head-fake that they’re a top AFC type team/to keep the line down – everything converged for the perfect storm. My entire handicapping season was about made in this one game. Happy. Happy. Happy. The Chiefs are on their way to 14-2/13-3 and an easy AFC West title (as long as Mahomes is healthy). How big will the ratings be for Week 11 vs. the Rams, possibly undefeated, going to KC to play the Chiefs (KC possibly 10-1)? How dreadful will it be watching that dream game but having to listen to Booger and Wooden explain to you why they like both of these teams, coaches, and quarterbacks for 4+ hours? Cincinnati is a bad football team…a decent team being coached down, per usual. They are 4-3, on their way to 8-8, maybe 9-7 if they catch a break along the way. I only need them to get to 6 and 7 wins to payoff all my preseason over/under win total bets, and then I could care less about them. -- The Chiefs offense is so awesome, so let’s begin by talking about the Chiefs-DST… Not the craziest theory to consider playing them the rest of the way with two weeks in there that are not good. They’ve held two of their last 3 opponents to less than 15 points in each game (JAX aqnd CIN). They’ve given up a lot of points to NE and PIT, understandably…and 27 to LAC and SF mostly in garbage time. This defense is going to give up points, but because their offense is so great they can rack fantasy points from turnovers and sacks – they can gamble and afford to lose because Mahomes will lead them to a score 2 minutes later. Just two turnovers created their first 3 games of 2018…8 turnovers their last 4 games (but 5 of them vs. JAX). #9 in INTs and sacks by a defense YTD. Tyreek Hill returning punts is always a threat to help their DST scoring. They are the #18 ranked fantasy scoring defense (FPros numbers) YTD in PPG. On the rise of late and doing so without their three best defenders – Eric Berry, Justin Houston, Daniel Sorensen. In another 1-2-3 weeks, it’s going to be like the Chiefs added 3 Pro Bowl players on defense at the trade deadline (which is why they are headed to the Super Bowl if they stay healthy). DEN-CLE-ARI the next three weeks isn’t a bad schedule. Not super great either. Rams Week 11, BYE Week 12…no. OAK-BAL-LAC-SEA Weeks 13-16 is not a terrible stretch…LAC going to the cold Midwest. In a season of DST disasters and landmines…the Chiefs are a giving-up-a-lot-of-points to opponents, but winning games big, improving as a defense with talent returning – a DST to consider. -- Why does it feel like Joe Mixon (13-50-0, 3-1-0/5) is ‘not happening’…not as good as we (me) all thought? He hasn’t had that ‘blowout’ type performance, and he missed two games with his knee procedure…so, it feels like something is not ‘great’ -- but he’s been quietly consistent…#11 among RBs in fantasy PPG in PPR, #9 in standard YTD. If he has a better Week 8…he’ll push strong into the top 10 among RBs. Another dud like this…he’ll fall into RB2-land. -- Andy Dalton (15-29 for 148 yards, 1 TD/1 INT) can rarely be trusted for FF consistency. Play him in a ‘great’ matchup and you get ‘this’. Bench him/cut him…there he goes with 3 TD passes…then he looks like a neat BYE week worker off a sweet game, and then a dud as your starter. I like him for the NFL. I hate him for fantasy. 11 TD passes the first 4 weeks…2.7 per game. 4 TD passes the last 3 games…1.3 per game. Hasn’t thrown for more than 250 yards in these last 3 games. 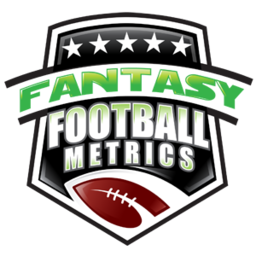 -- My greatest fantasy mistake in 2018, among a few – underrating/undervaluing Kareem Hunt (15-86-1, 5-55-2/6). It looked like he was getting lesser opportunity as the passing game ramped the first few games…but now that teams have dropped back in fear of Mahomes – and Hunt has all kinds of space to roam. The main RB from high functioning offenses is where it is at more times than not. Talent levels of the runner be damned in too many cases. Todd Gurley was an RB3 with Jeff Fisher, and an MVP with Sean McVay. David Johnson is experiencing the reverse order of that these days. -- I wouldn’t sweat Tyler Boyd’s (3-27-0/4) down performance too much. Everything was off about Cincy this game, and KC covered A.J., Green (7-117-0/14) one-on-one, so Dalton kepot going there…as he should. A reminder of the Cincy pecking order…why Boyd can’t be seen as more than an WR2 overall. -- I like C.J. Uzomah (2-13-1/2), I’m hopeful for CJU…I can use him, plausibly, on a BYE situation… BUT, I’m not seeing any uptick towards solid TE1 in a depressed TE market. Targets the last three games as ‘starter’…2-7-2. I need 7s not 2s. There is ‘hope’ here but it’s not strong right now. -- Extra playing time for KC backup LB Dorian O’Daniel (4 tackles, 1 TFL), who, I o’dore – one of our top IDP stash names right now. He made some sweet plays late in this game – he just moves faster than most linebackers. He’s a strong hitter too. I love that KC is sticking with him at ILB…where he could be an IDP ace someday – and that someday may be upon us faster than I could have hoped.